TrustedAudio (TA) is a professional web-based tool that provides an easy and reliable way to share, deliver, and distribute audio files securely by means of watermarking and digital signing. Simply log in, upload your audio files, fill in the recipients’ info, and send the files! All recipients receive their own uniquely and inaudibly watermarked (“digitally signed”) copy of each distributed audio file, ensuring your copyright. 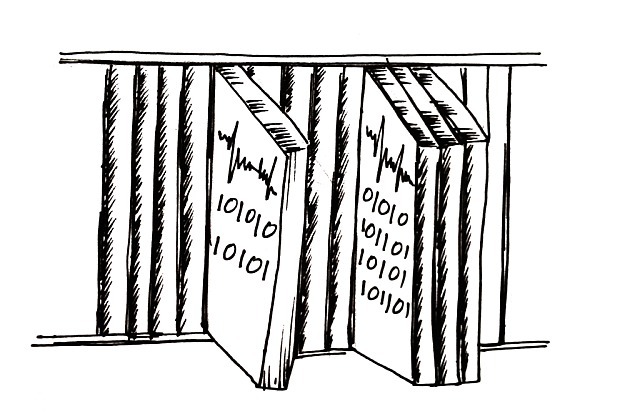 Unique watermarks are embedded into acoustic content of every audio file copy delivered to each individual recipient. Records of each watermark, together with the file metadata and the recipient info associated with the delivered file, are securely stored in the TA database, enabling the file owner to identify and backtrace delivered copies at any time, instantly and reliably. Every single audio file copy delivered via TA is unique and identifiable by the file owner. This ensures accountability and enables identification of the leak source if the file is pirated (e.g. found on torrents). Authentication with the TA database is easy: simply upload a short fragment of audio and let the TA engine scan it for the presence of the hidden acoustic digital signature (watermark). If the signature is detected, the engine will retrieve its contents and display any information associated with this digital signature on the screen (such as info about the file, its owner and the file recipient). TA watermarks are very robust and cannot be removed from the audio without causing substantial loss to its original quality. The watermark is resistant to audio transformations, format conversions, and transcoding using lossy codecs (such as MP3) and can be extracted from even short fragments of the audio. The service is based on a unique, proprietary, and patented watermarking technology. TA is a sub-project of audiowatermarking.info. TA is not just a watermarking and distribution service. 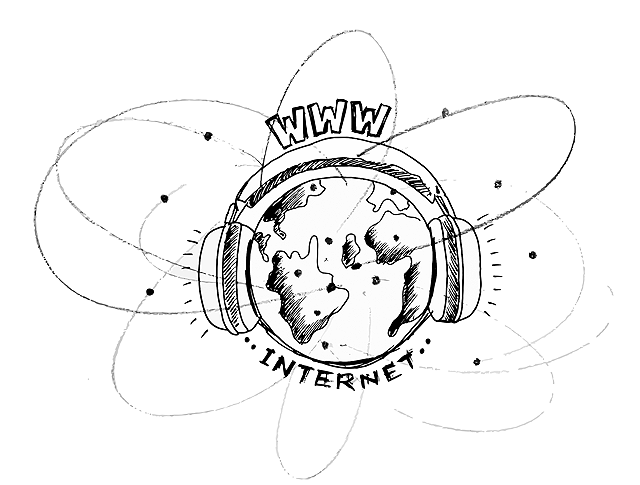 It's also a worldwide, open database of digitally signed audio files. TA users — such as musicians and composers — can choose to sign their tracks “publicly”, in the sense that the embedded watermark and information associated with it (such as the author’s details, comments, or even a picture) can be freely and openly retrieved from the audio track (or any of its pieces) by any visitor to the TA service, and not just by the track owner. This feature allows musicians to claim their authorship by signing their tracks so that anyone can authenticate them using TA. Public signatures are stored forever in the TA database. TA is also a professional audio-sharing and distribution tool. TA service, with its on-demand, multi-format, watermarked audio delivery capabilities, can be seamlessly integrated with web stores and distribution networks by means of its powerful and flexible API. Extended functionality and API for integration into 3rd-party web resources is a standard feature offered to all TA customers. Each unique audio file copy distributed via TA is pre-processed using a special acoustic watermarking signal processing algorithm, which “signs” the copy with a unique hidden digital signature. The signature contains encrypted information about the recipient to whom this copy is sent as well as file meta-data. The signature is carried by and contained within the acoustic sound wave of the audio recording and can be retrieved from it as long as it sounds similar to the original, even if the recording has been transformed, converted, recoded/transcoded using MP3 or similar lossy codecs, or otherwise edited. Although the watermarking engine modifies the recording during watermark embedding process, the modification does not change the way it sounds and the recording retains the sound of the original. The TA watermark-decoding engine can retrieve the signature from any aurally meaningful fragment of the watermarked audio, so a successful watermark extraction does not require the full recording to be accessible. Since every unique file-copy carries unique identification signature associated with the recipient of that particular copy, the system allows its users to backtrace each and every copy delivered or distributed via TA. Here is a simple TA usage example. Musicians can use TA to send watermarked promos or full tracks to recording labels. In case one of the distributed copies is leaked to the Internet, the owner can easily identify the source of the leak by analysing the found copy at the TA identification page and retrieving information about the recipient to whom the copy was sent. Signatures having publicly accessible fields (i.e. "public signatures") are stored in the TA database permanently. Their public data can be retrieved by anyone at any time, as long as the TA service exists, irrespective of the existence of their owner's account. Private signatures exist and are accessible to their owner as long as their owner’s account exists in the TA system. Anyhow, signatures are accessible regardless of the availability of their corresponding source or signed audio file copies on the user's account and/or in the TA system. 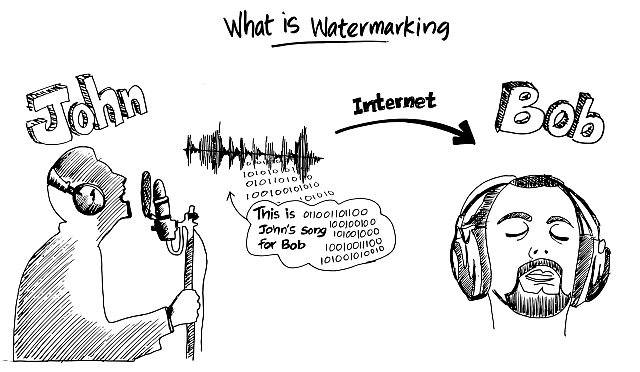 Digital watermarking (digital “signing”) is a method of hiding data inside acoustic content. Private digital signature is a digital watermark that can be extracted from acoustic content and viewed only by you, its owner. In details: A digital watermark is embedded into the audio content and is associated with information stored in the TA database about the content's owner (the TA user who uploads the file) and recipient (the party that receives the file from the TA user). Such a signature can be retrieved and viewed by the signing party (the TA user, file owner) only – that is, only by the user who uploaded and signed the file on TA. Private digital signatures exist for the lifetime of the user’s (owner's) account and are intended to serve users by allowing them to backtrace their signed tracks and thus ensure accountability and identification of a leak source if a file is pirated. Private digital signatures associated with the user are removed from the TA database when the user account is deleted. 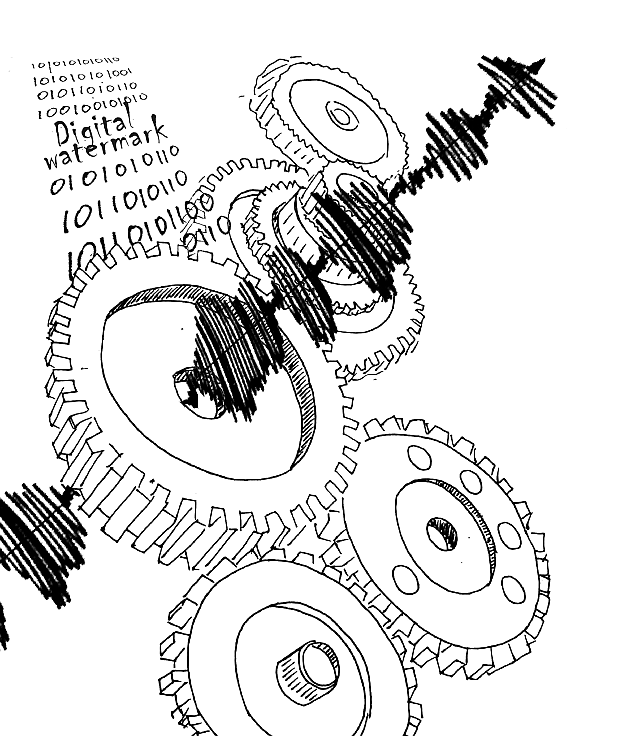 Public digital signature is a digital watermark that can be extracted and viewed by anyone. In details: Public signature is a part of the private digital signature that the user has selected to make retrievable and visible to the general public. For example, a user may decide to make the artist name and song name visible to the public so that anyone can authenticate the track by uploading and checking it (or its fragment) against the TA database. Once created, public digital signature remains permanently in the TA database and can be retrieved/viewed by the general public, irrespective of the existence of the signature creator’s account. In other words, public signature is preserved and retrievable even if the signing party’s account has been deleted from the system. 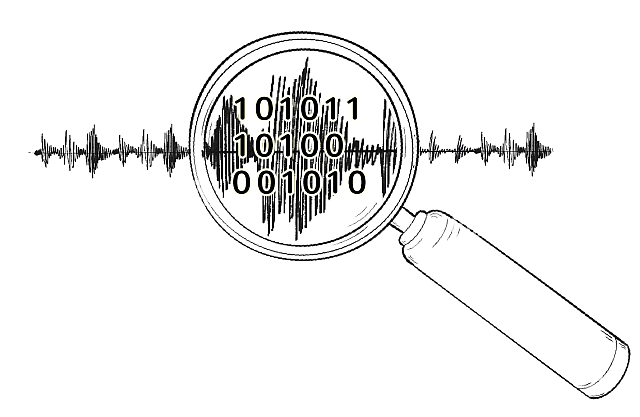 Signature retrieval — extraction of hidden digital watermark from acoustic content. 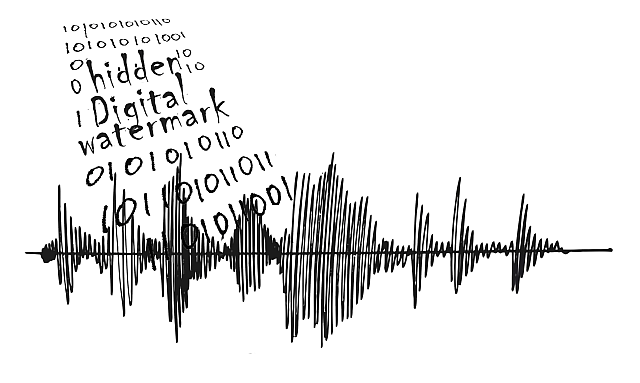 In details: Watermark retrieval is a process of analysis, detection and extraction of digital watermark (signature) from an acoustic signal recording by the TA audio watermark decoding engine. 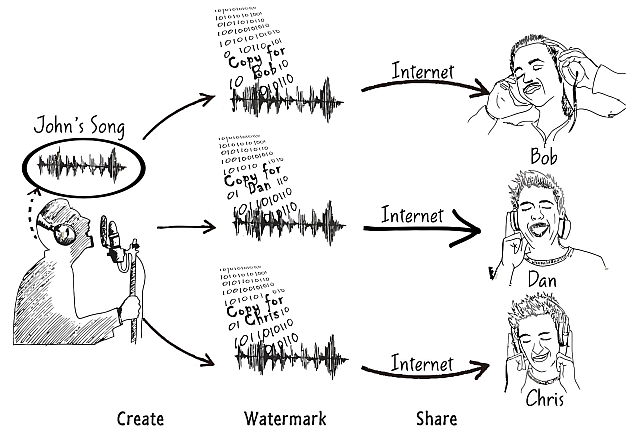 In order to retrieve the signature, the user must to upload the audio recording to TA on a dedicated page and wait a few seconds for the analysis results. Users can upload full audio track to analyze, but a 20 to 30 second long audio fragment is usually enough to find the signature. If a signature is found, its information is displayed on the screen. A private signature presence is reported and shown only to the signature owner (the user who created it). Public signature fields are displayed to everyone including non-registered TA visitors. File repository — a dedicated, personal space at your TrustedAudio account where you can host your audio files. In details: You can use TA's signing and delivery functions by uploading needed files each time you want to share them. Another alternative is to upload them once and store at your account in the File Repository. Watermarked delivery of files from the File Repository is instant and convenient. Send watermarked music promos and releases to your desired recipients without fear of piracy; you can backtrace the pirate and easily identify the leak source by retrieving the hidden digital signature with the recipient’s info from any fragment of your watermarked music. Claim your authorship by watermarking your track with a publicly retrievable digital signature before sharing it with the world; anyone interested will be able to authenticate your track by retrieving its signature directly on the TA front page. Do you have your own web store? Easily integrate it with TA, and start selling watermarked tracks to prevent piracy. Integrate with TA using its flexible, simple, and effective API. Host your files on TA, and deliver watermarked audio files on demand directly from the TA server. Deliver your audio files in any format, and let the recipients decide which audio format suits them best. No subscriptions or hidden fees, transparent pricing, pay-as-you-go. The TrustedAudio platform offers a variety of ways to deliver, share, and distribute audio files. The user uploads audio files, fills in the recipients’ info, and selects the desired audio format for delivery. Uniquely watermarked copies of the uploaded files are immediately sent in the chosen audio format to the recipients via e-mail with an attachment. The files are not stored on the server and are immediately removed after delivery of the e-mails. The user can decide to declare selected fields of the embedded digital signature as “public”. 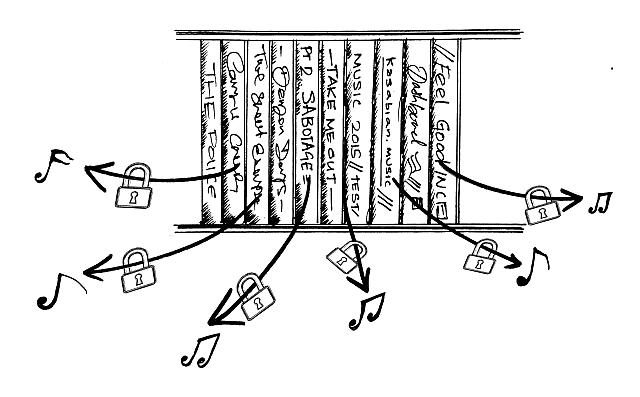 The user uploads audio files, fills in the recipients’ info, and selects the desired delivery format. E-mails with links to uniquely watermarked file copies are immediately sent to the recipients. The links remain live for a desired period of time and are then removed, together with all the files, after the expiration date. Links can be restricted by IP, number of downloads, etc. Links can lead to the primary TA domain or to an “anonymous” domain. The user uploads files, fills in the recipients’ and/or other desired information, and manually downloads watermarked copies of the files that are digitally signed (watermarked) with a signature containing the specified information about corresponding file recipients. Users can use this mode when they need to distribute signed file copies manually or when using sharing methods that are not offered by TA. The user can decide to declare selected fields of the embedded digital signature as “public". The user can upload files to TA’s “file repository” for permanent hosting on the TA server. This allows for easy and quick files delivery without the need to upload files each time they need to be signed and shared. One or several share links can be assigned to each uploaded file. Links can have an expiration date and be restricted by IP, number of downloads, etc. Links can lead to the primary TA domain or to an “anonymous” domain (refer to the information on TA domains below). Hosting in the Repository can ease automation of file operations via TA API as well as shorten file delivery times. Registered and logged-in users can upload an audio file (e.g. a full track or a short fragment) and let the TA engine scan it for presence of a hidden digital signature (watermark) belonging to the user. If such a signature is detected, its information (such as file info and recipient info), is extracted and displayed on screen. A TA visitor (either a registered TA user or unregistered visitor) can upload an audio file (e.g. a full track or a short fragment) and let the TA engine scan it for the presence of a hidden public digital signature (watermark). If such a signature is detected, its information (such as file info and owner info) is extracted and displayed on the screen. TrustedAudio API allows for automated use of the core TA functionality including file transfer, watermarking (signing), format conversion, links creation, watermark scan, etc. TA users can integrate with TA to fully automate watermarking and file-delivery operations without the need to access TA web interface manually. TA API allows for easy integration with web-sites. TA API is available to all registered TA users. Trustedaudio.com is the primary TA service domain. This domain is used to access the web interface, serve users, etc. This domain is also used by default to deliver files using file-sharing links and by mails with attachments. Audio - db . com is a secondary TA service domain. It has no web interface and no back-links to TA. Its main page simply says “Audio delivery platform” with no other information. Upon creation of a file-sharing link, users can choose whether to send/deliver their files with a link to trustedaudio.com or to audio-db.com. If audio-db.com is selected, the recipient gets the file “anonymously” in the sense that the watermarked nature of the delivered file is not revealed or advertised directly, as there is no mention of trustedaudio.com. E-mail notifications sent from this domain also do not mention the TrustedAudio name. TrustedAudio API allows for automated use of the core TA functionality including file transfer, watermarking (signing), format conversion, links creation, watermark scan, etc. TA users can integrate with TA to fully automate watermarking and file-delivery operations without the need to access TA web interface manually. TA API allows for easy integration with web-sites. TA API is available to all registered TA users. Detailed documentation with examples is available under the "API" menu item in the account dashboard. Refer to this page for exact pricing and fee information.